If you’re after a slow, chilled out winter weekend away, the Southern Highlands is a magical part of New South Wales to spend some time unwinding. This scenic south-east region is easy to reach within 90 minutes of Sydney and under two hours from Canberra. The area boasts fertile ground that produces exquisite cool-climate wines. Wander through the farmers’ markets, explore local art galleries in the charming rural towns of Mittagong, Bowral and Bundanoon, or head out to the wineries for a day. It’s not just about the wine, though; the soil gives life to a diverse food and agricultural industry, producing olives, olive oil, cheese, truffles, berries and Angus beef. The Southern Highlands region is also known for its award-winning pies, with over 30 local pie-makers in the area. What’s better than sinking your teeth into a hot pie after a crisp morning wandering the historic towns? Head to the area in June during the month-long Pie Time festival and take part in the celebration of the humble pie. 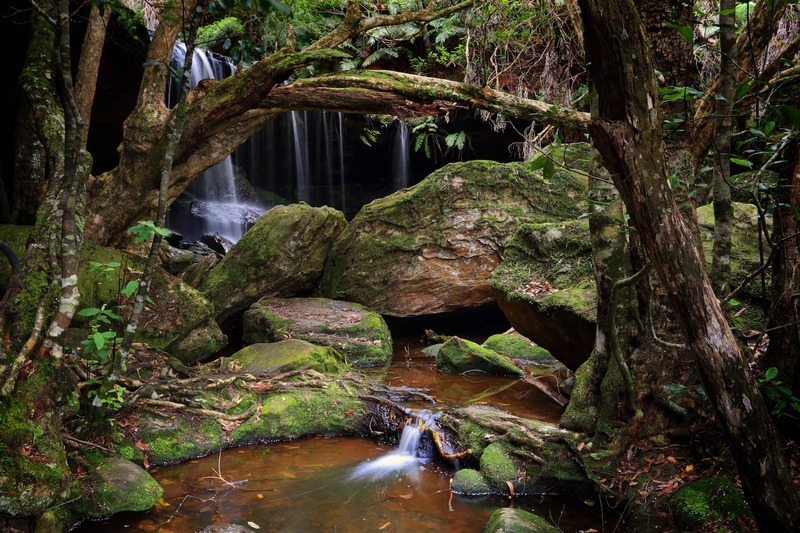 The Southern Highlands is also situated among several spectacular national parks, including Morton National Park, a must-visit for bushwalking, sight-seeing and lookouts. Its crowning jewel is the spectacular Fitzroy Falls, which plummets more than 80 metres. The Penrose State Forest, just a 20-minute drive from Bundanoon, boasts a stunning mix of pine plantations and native forests. Penrose is managed by the Forestry Corporation, which takes care to protect and conserve forests across the state, ensuring that they are accessible and enjoyable for all visitors. For a unique New South Wales winter experience, journey north to Walgett. Situated near the junction of the Namoi and Barwon Rivers, Walgett is an outback town surrounded by rich agricultural lands. This New South Wales gem is also the gateway to real gems – the famous opal fields at Lightning Ridge lie an hour’s drive to the north. Here, you can experience opal mining in action: watch raw opals become polished into shimmering beauties, visit sites where opals were once mined and try your hand at fossicking on the red river banks of the Darling. While Walgett’s daytime winter temperatures are a lot milder than in the southern parts of the state, you’ll certainly want to rug up in the evenings and the crisp mornings. Walgett has a unique way for you to warm up: take a dip in the free bore baths, where warm water rises from the Great Artesian Basin at a delightful 41.5 degrees, perfect to sink into and relax. Then, wrap your hands around a hot coffee in town at Walgett before heading out to Pilliga National Park to the south-east for an invigorating bushwalk among beautiful scrubland and sandstone caves. Burren Junction, between Wee Waa and Walgett, also has a free natural artesian bore bath as well as free camping with amenities.